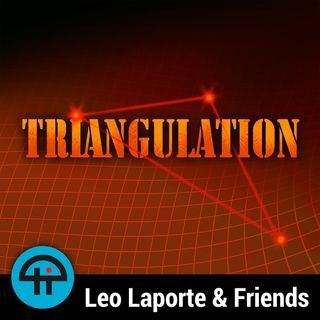 Triangulation 386: Caterina Fake - Should This Exist? Flickr Co-Founder and Yes VC Partner Caterina Fake joins the show for the third time to talk about her new podcast Should This Exist? which is about how technology is impacting our humanity. Jason Howell and Caterina discuss the struggle of ethics in the tech, the difficulty in foreseeing the minefield of unintended consequences, if government regulation has a role keeping tech companies in check, and more. Plus, Jason gives Caterina a 'should this exist?' lighting round with pet ... Más informaciones cloning, designer babes, and deep fakes.